Nehemiah is an incredible man who honors the Lord in everything he does. His life story teaches us how a Godly leader responds to difficult situations, and how a Godly servant reacts under pressure. Illustrated for this study are brilliantly colored paintings that reflect the joy and excitement of reading scripture. The artwork enables you to visualize the challenges and emotions of this humble man in his service to the Lord. Jewish history, culture, politics, and spiritual insight are amoung the highlights studied in this book. 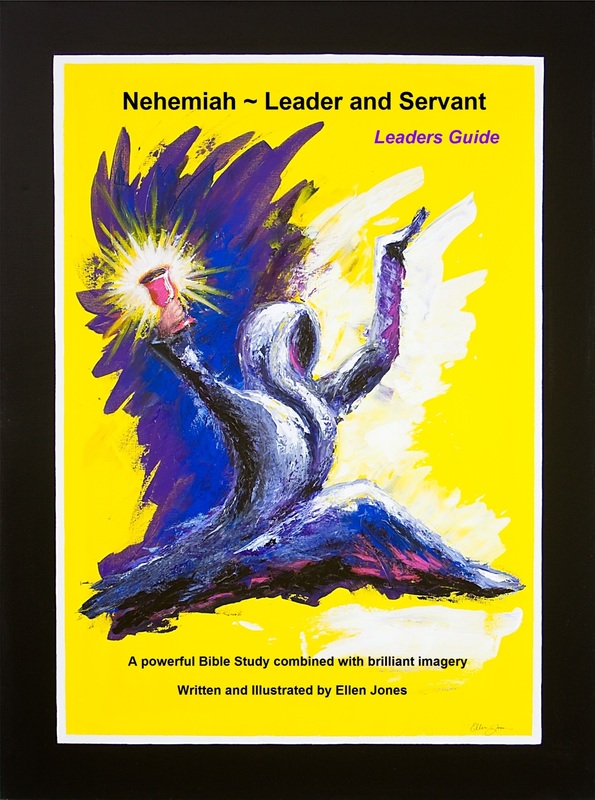 Learn from Nehemiah how to overcome obstacles in your work place, community, and home. Stand firm in becoming a Biblical leader and servant to those around you. This 8.5 x 11 workbook contains 164 pages in a 6 day homework, 14 week study format, perfect for any Bible Study group! "I am not a painter. I like words but I can recognize beauty and skill in the visual arts. Painting, to me, comes closest to the divine act of creation, that is to make something beautiful out of nothing. The art and words, in this study of a courageous leader who served his people and his God well, illustrate and tells us a wonderful, true story. Each chapter starts with a gripping image. The words that follow gives us background and the author’s biblically sound insights further help you understand and be inspired. As a bible study teacher and church elder, I highly recommend this book as part of any church based educational curriculum. Actually for any group of people, who wish to study a fascinating Old Testament historical figure that made a difference, then this book is for you." "The illustrations in this Bible study are beautiful and creative. The power of scripture has been transformed onto the pages. I would strongly recommend it for anyone interested in the last of the Old Testament historical books. The Bible story is believed to have been written by Nehemiah himself and tells the hsitory of the third return to Jerusalem after captivity, how walls were rebuilt and the peoples faith was renewed in the process. The author has captured the character of Nehemiah and the depth of his belief."